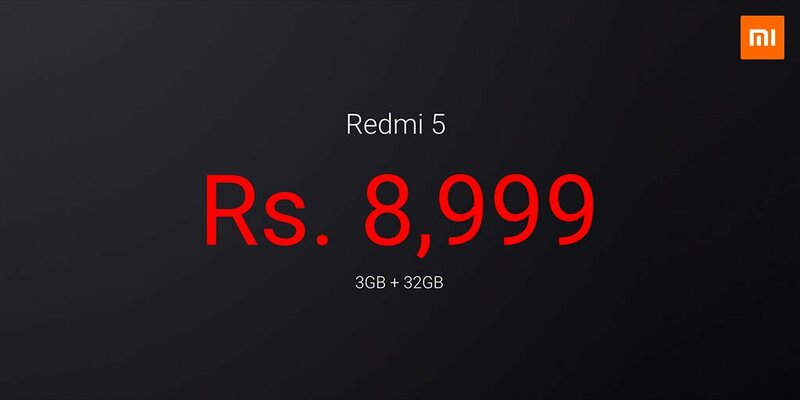 From past few weeks, Xiaomi has been teasing the launch of its new budget-oriented smartphone, and various sources revealed that it is the Redmi 5. 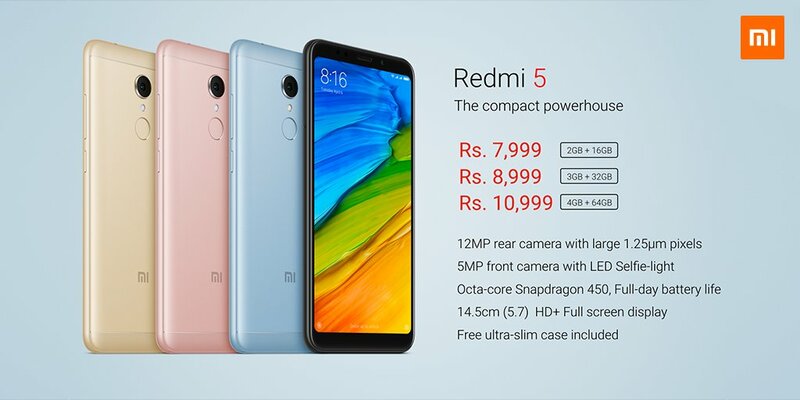 The Xiaomi Redmi 5 is the successor of last year’s Redmi 4 which was a huge hit in the Indian market. The phone comes with a modern design that includes an 18:9 display on the front. The specifications, design and that pricing make it the best phone that you can get under Rs 10K. Once again, Xiaomi has shown why it is called the budget smartphone king. Starting off with the front, one of the very first things that you are going to notice regarding the design is that display on the front. It is for the very first time that the Redmi series (Not the Redmi Note series) is getting an 18:9 display. The screen has rounded corners which sync perfectly with the curved edges of the body. 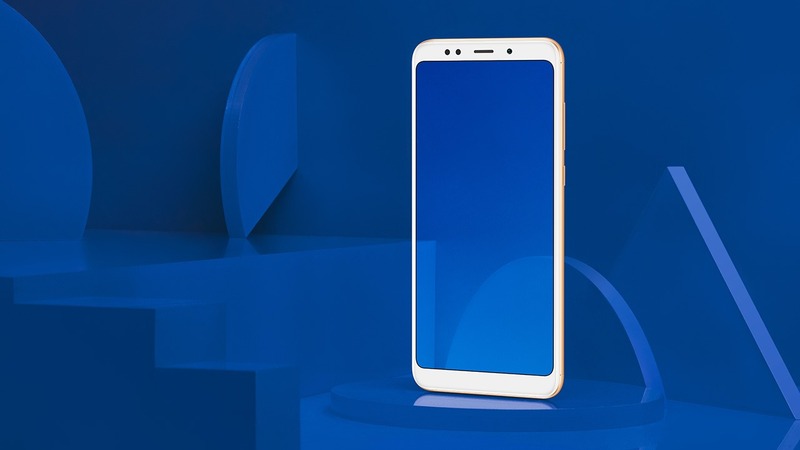 Since the phone has an 18:9 display, there are no capacitive touch buttons as they are replaced by the on-screen buttons, just like Redmi Note 5 and Note 5 Pro. The earpiece, front camera, sensors and an LED flash are present on the top. Fron the rear, the phone looks the same as the Redmi Note 5 with a single camera, LED flash and fingerprint scanner. In fact, the rear camera is the same as the one present on the Redmi Note 5. 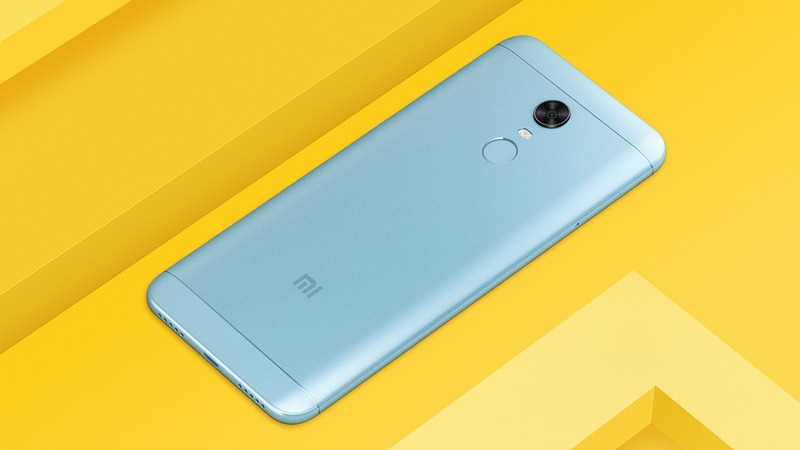 So, you can just take the Redmi 5 as a variant of Redmi Note 5 with a less powerful (but a capable!) processor. The micro USB port is present on the bottom with two grills on either side, one of which is a speaker while the other is the primary mic. The Xiaomi Redmi 5 is the slimmest Redmi phone ever with a thickness of 7.7mm. 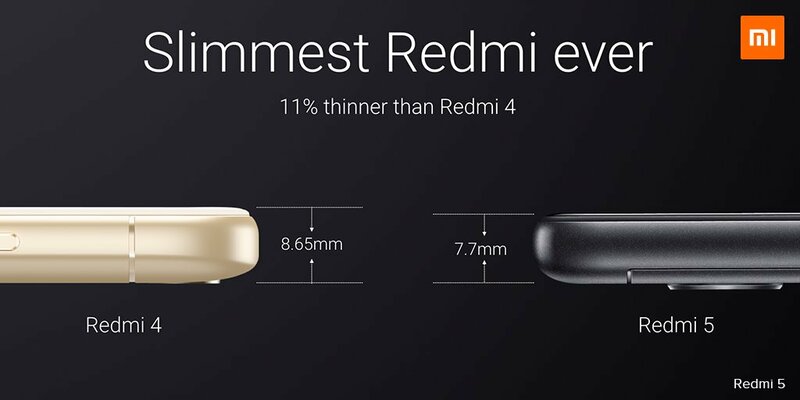 This makes it 11% thinner than the Redmi 4 which is 8.65mm thick. As Xiaomi says, the Redmi 5 is truly the worthy successor to the Redmi 4. Talking about the specifications, the Xiaomi Redmi 5 features a 5.7-inch 18:9 display with an HD+ resolution (1440x720p) and a pixel density of 282ppi. Under the hood, there is the 1.8GHz octa-core Snapdragon 450 processor along with the Adreno 506 GPU. It is a very capable processor which is built on the same 14nm process as the Snapdragon 625. There are three different variants of the phone – 2GB + 16GB, 3GB + 32GB and 4GB + 64GB. 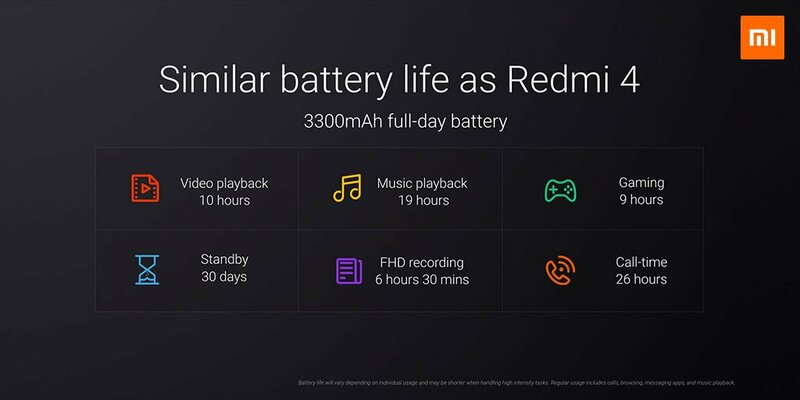 There is a 3,300mAh battery which Xiaomi claims can give the same battery life as the 4,100mAh battery of Redmi 4. On the rear, there is a single 12MP camera which, as mentioned above, is the same as the sensor on Redmi Note 5. The sensor has a large 1.25μm pixel size and f/2.2 aperture. On the front, there is a 5MP camera for selfies that is packed with an LED flash. The phone supports dual SIMs, but it is worth mentioning that unlike the Redmi 5A, the Redmi 5 has a hybrid slot. So, you have to swap your second SIM if you want to add a microSD card. The phone will be available exclusively from Amazon and Mi.com, and the first sale is happening on March 20.